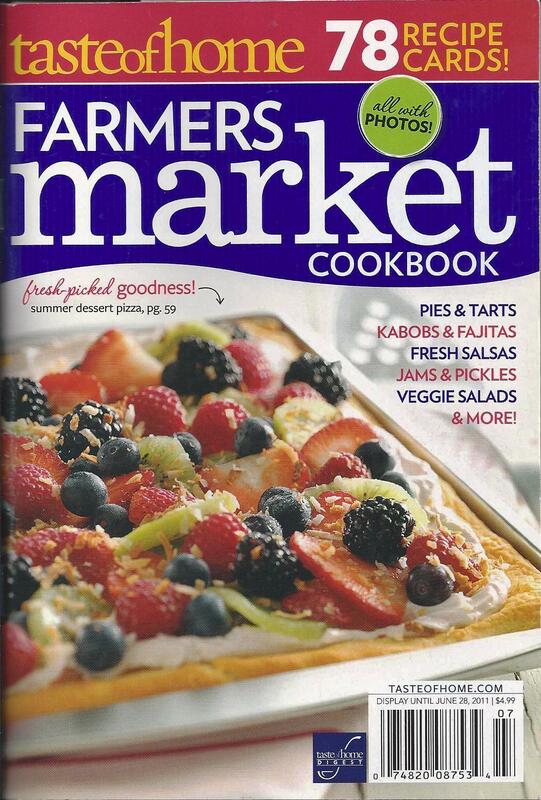 It’s time for a Farmer’s Market Cook Book from Taste of Home. This supermarket-type booklet from 2011 has 78 recipe cards, each one with a photo. There are recipes for appetizers, main dishes, grilling, salads, desserts and preserving, all using your garden and orchard produce or finds from your farmer’s market. Our farmer’s market is so popular, that even in a smaller town like ours it’s on twice a week. There are also 2 market stands open most days. This little booklet gives you some fresh ideas for all that bounty.